A herniated disc can be excruciating. A herniated disc, often called a slipped or bulging disc, is the bulging or rupture of an intervertebral disc in your spine. Once it bulges or ruptures, it presses on your spinal nerves, causing great pain, usually in the lower back, but sometimes in the upper back, neck or legs. Rehabilitating your back slowly is the best way to get back on the road to good back health. When even coughing or laughing hurts, though, the thought of exercising can seem intimidating. Walking slowly, swimming or doing other low-impact exercises can get you on the road to recovery. Avoid exercises that place a lot of stress on your back until those muscles start to tone up. Check with your doctor before beginning or resuming an exercise program. 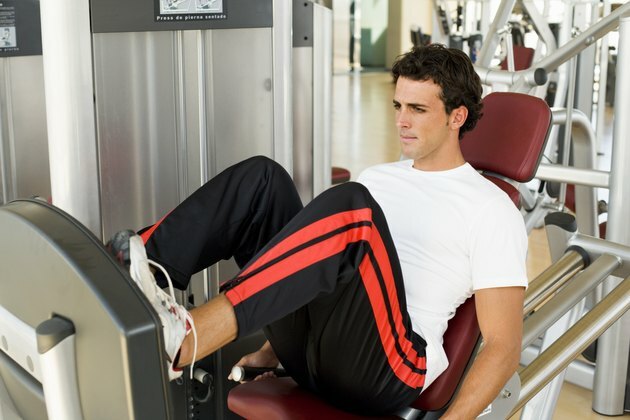 The leg press is a machine attached to weights in which the user lies down and pushes up or pushes out against the weight. According to Florida Fitness Coaches, the leg press is a bad exercise for leg fitness; it can not only aggravate, but can cause bulging or herniated discs. A midrange squat that lowers your bottom to just behind or above your knees is better for your legs overall, but avoid a deep squat down to the ground until your back is stronger. Exercises in which the legs are straight stress the discs in your spine more than bent leg exercises. Leg lifts done while you're lying face down or situps done with straight legs should be avoided until your back muscles are toned, according to "The New York Times." In addition, bending over to touch your toes with straight legs or sitting with legs straight out to touch your toes can hurt your back more, according to Rick Morris, a physician at the Morris Spinal Stenosis and Disc Center. Because a herniated disc often occurs in the lower back or lumbar part of the spine, right above the hips, twisting can not only make the disc worse, but it can be the cause of the problem. 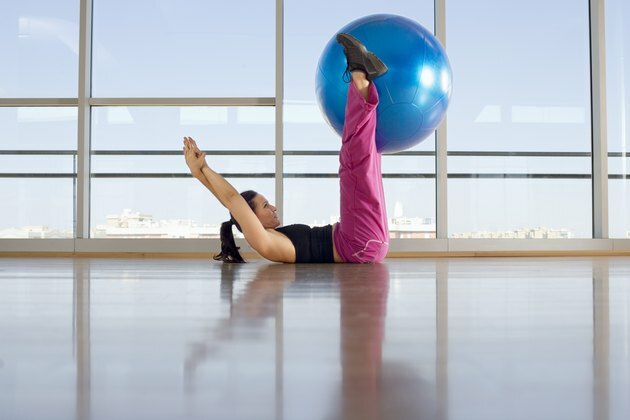 Exercises that require you to twist, such as abdominal exercises with a medicine ball or kettlebell or even some yoga moves, can be detrimental after you've herniated a disc. Bending over to pick up a barbell and then jerking it into position can cause shock to your spine. Pushing up into the air while lying down can also cause pain. If you must lift weights, avoid bending forward and lifting. 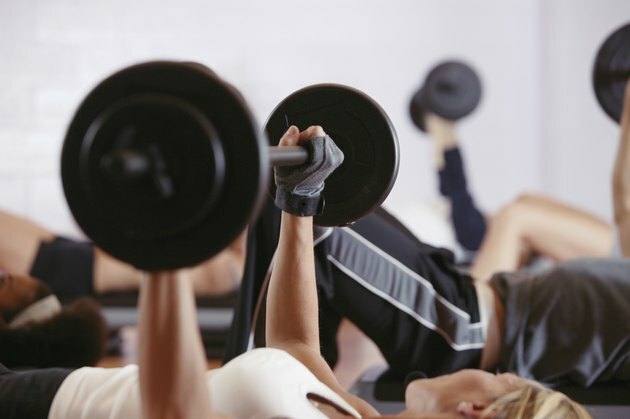 Use slow, controlled movements while lifting weights. Practice proper form before engaging in weightlifting. Your discs are the shock absorbers of your back. 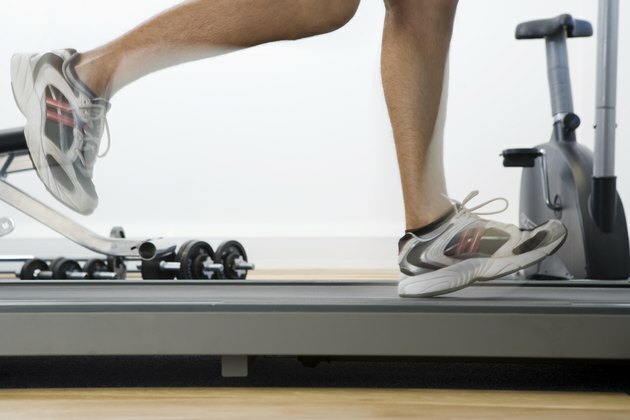 When you pound continually during running, you are increasing the amount of stress placed on the discs. While running does not usually cause a herniated disc, it can aggravate one and cause other symptomatic lower back pain, according to Sean McCance of Spine Health. Get back into running or jogging by walking a lot right after your disc is herniated, and add jogging or running back into your routine slowly. If you find it stresses the herniated disc, stop running and go back to walking. Once the muscles around the disc are stronger, running may become easier. Do You Pee a Little When You Work Out, Too?